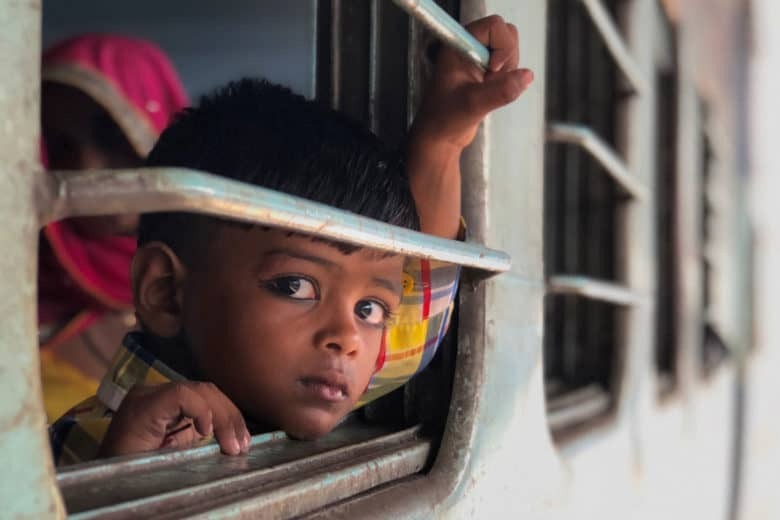 Travel photographer Austin Mann is currently in India shooting with an iPhone 8 Plus. Travel photographer Austin Mann calls the iPhone 8 Plus a marshmallow. More on that later, but as he travels through India shooting with the Apple handset, he is finding the camera and software upgrades to be pretty sweet. Mann is one of the photographers Apple likes to use for testing the camera and software on new iPhones. Mann shoots thousands of images, meticulously examining each feature to see if they perform as claimed. His work has appeared in Apple advertising, including the “Shot on iPhone 6” campaign. Mann also uses his portfolio website to blog about his adventures and post reviews on new cameras and tips to make the best pictures possible. The iPhone 8 and 8 Plus will be available in Apple Stores on Friday. The photographer’s demonstration of the performance of Studio Lighting in Portrait mode. Mann also highlighted features that have drawn almost no attention. Shooters can now lock the camera in a particular shooting mode so that when the camera app is closed, you can return to that setting when you go back into the camera app. This setting keeps the shutter open a little longer to allow in more natural light and balance with the artificial light from the flash. Mann demonstrates the difference with the selfies below. 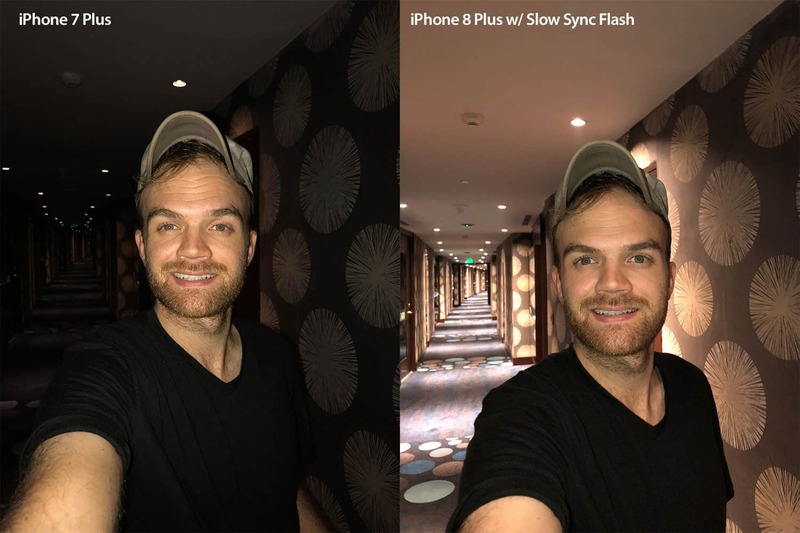 The photographer takes one selfie with just flash and the other with Apple’s new Slow Sync for flash. Mann found this to be the most impressive upgrade because of how it handled harsh lighting conditions where there was no shade. In these portraits of a sheepherder named Balaram, the HDR in Portrait Mode made the image appear warmer and capture more detail, especially in the highlights. the photo on the left was shot without HDR in Portrait Mode. HDR is applied to the middle image. With iOS 11, users have the option to create images with HEIF and HEVC formats, which doubles the amount of space on your phone or iCloud account. Mann noted users will need High Sierra to access these files on a Mac. Mann found what he called a couple of hiccups while shooting with the iPhone 8 Plus. The new iOS features an auto dimming for screen brightness. This made reviewing photos difficult, especially in bright light. He later discovered this feature can be turned off by going into the settings. He also noticed images appearing on the iPhone 8 Plus screen appeared slightly soft compared to his iPhone 7 Plus. Yet, when he pulled the images up on his Mac, the 8 Plus images were actually sharper than those shot with the older phone. He plans to post an update as soon as Apple gets back to him with an explanation. But Mann said that the 8 Plus is a solid upgrade, giving creative pros greater power and flexibility. And it is the best money can buy – that is, until he can get his hands on an iPhone X, which makes the 8 Plus a marshmallow. “As for the iPhone X, I feel a bit like the kid in the infamous Stanford Marshmallow Experiment from the 1960s where the researcher sets a marshmallow in front of a child and tells him he can eat one marshmallow immediately, or, if he can wait 15 minutes, he’ll be rewarded with TWO marshmallows.